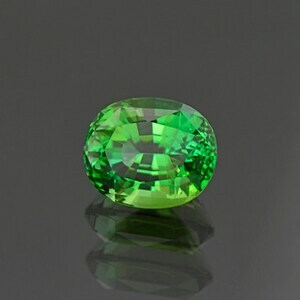 Size: 8.32 x 6.64 mm. 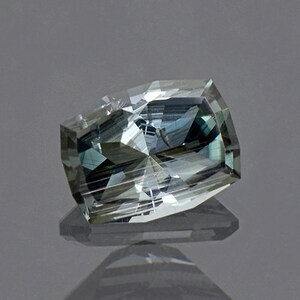 This Tourmaline is gorgeous! 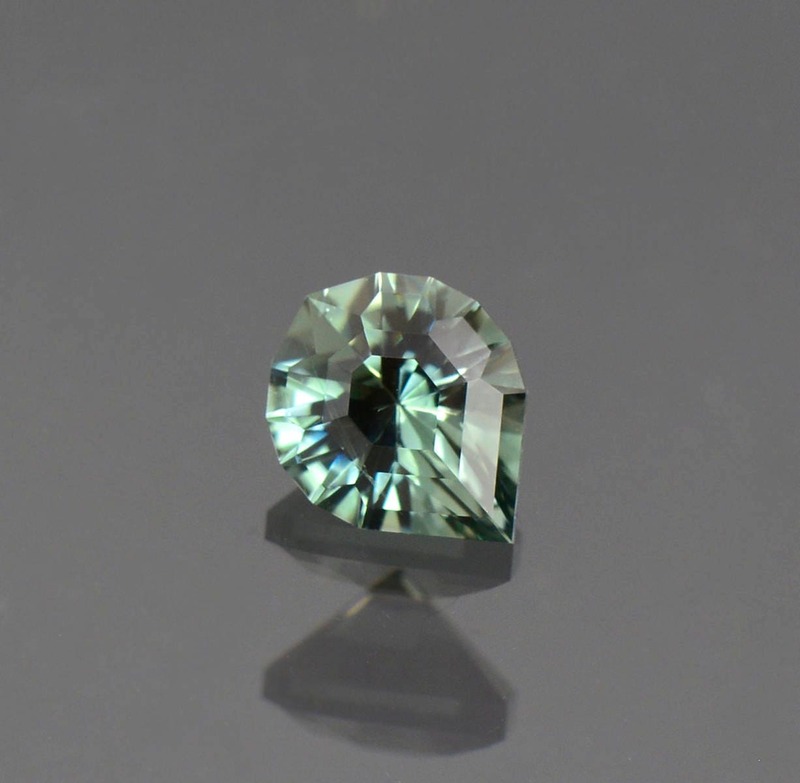 This exceptional gem rough came from a new production out of the Congo. The color is pastel blue/green that is similar to Evergreen needles. 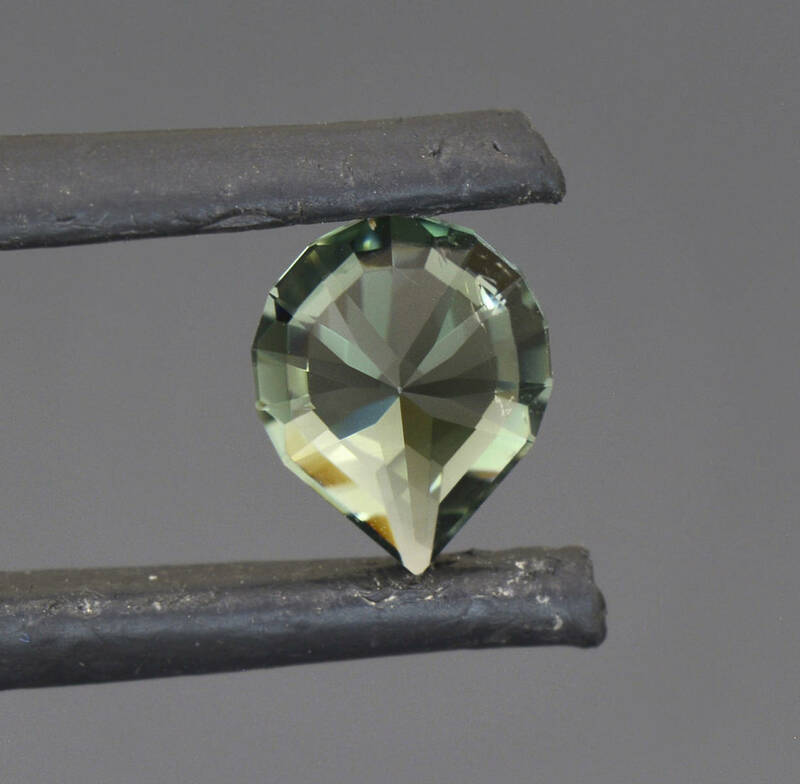 This custom pear shape called Maya Drop was designed by Marco Voltolini, which is excellent on Tourmaline and flashes beautifully. 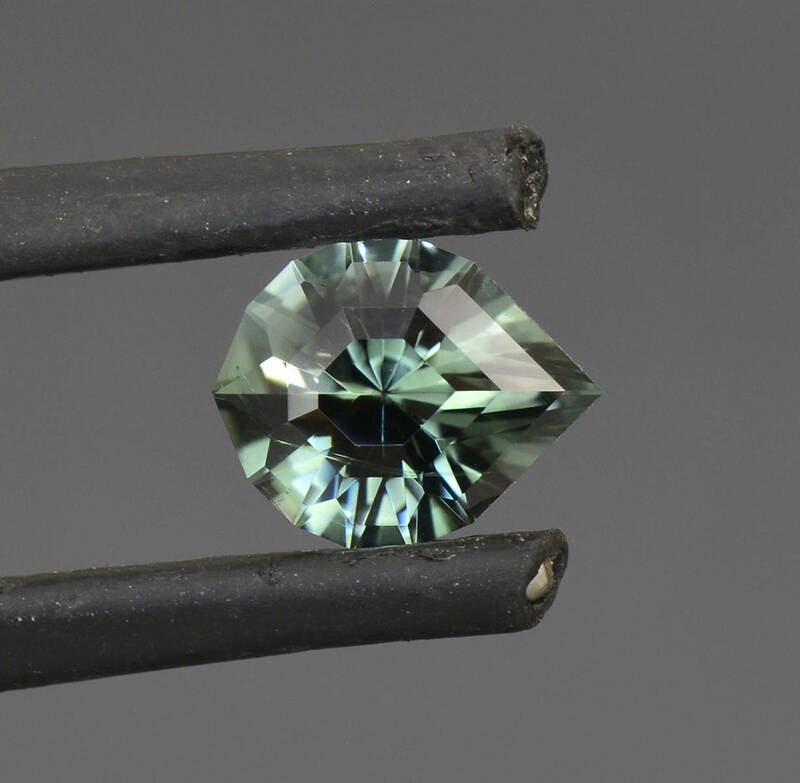 The clarity is quite good with only one minor inclusion under the girdle. 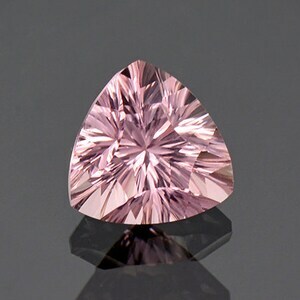 The polish and light return of this stone is stunning, just dances on the hand. 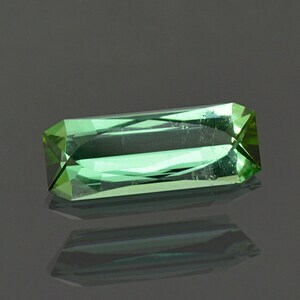 This stone will make a fantastic piece of jewelry, either a ring or a pendant! 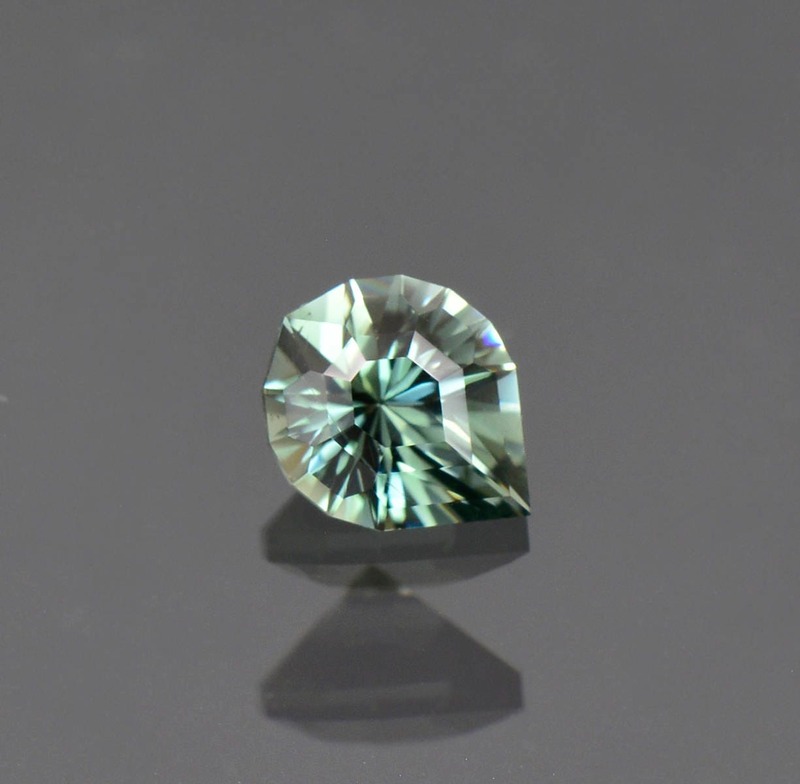 This gemstone was faceted by Allyce Kosnar of Kosnar Gem Co., during December 2017. Enjoy!